Otsasai system, Lonetrek region. On the 26th of April at 17:50 EVE Standard Time, a Snuffed Out [B B C] capital force was destroyed in the system by forces belonging to Stain-Wagon coalition (SW). Since coming to the aid of the Imperium, SW forces have staged from the Otsasai system in the Lonetrek region, neighboring Snuffed Out and Project.Mayhem. [16-13]’s own staging system of Nalvula. While the two sides had clashed before, SW forces often avoided direct confrontation, due to presence of allied forces in the area, as well as their focus on Circle-Of-Two [CO2]’s holdings in the Tribute region. This however, apparently changed after Snuffed Out’s actions led it to be excluded from the allied forces. Bringing no less than 50 dreadnoughts to the area, SW formed a 120 pilot Rattlesnake battleship fleet, hoping to provoke a fight from their neighbors. This build up of force was detected by Snuffed Out and their allies’ scouts, who alerted their fleet commanders. Wishing to get a fight, Snuffed Out and Project.Mayhem. organized an estimated 70 pilot Machariel battleship fleet, escorted by 15 dreadnoughts. However, the force also had nearly 80 dreadnoughts waiting in reserve, to counter escalate should SW forces bring their own dreadnought force to the field. Out of Sight. [OOS] also participated, bringing a 40 pilot Tengu strategic cruiser fleet as a third party, though the force arrived much later in the fight. The Machariel fleet jumped into the Otsasai system, just as the SW force warped to the gate, the two sides meeting on the Nalvula gate. As the Machariels anchored up, the Rattlesnake fleet opened fire, starting the fight. The two sides clashed mercilessly at close range, the Rattlesnakes firing salvos of cruise missiles at the Machariels which retaliated with auto-cannon fire. However, SW proved to have the edge, its logistics wing augmented with triage carriers was able to soak the damage, allowing the battleships to tank the incoming fire. Snuffed Out though, was doing poorly. Outnumbered and outgunned, the SW missile swarm simply volleyed the battleships, aided by sentry drone fire. One by one, the Machariels simply caved in to the relentless punishment poured on them by the SW ships. Even with triage carriers on the field, the Snuffed Out fleet was simply overwhelmed. Snuffed Out lit a cynosural beacon, letting in its initial dreadnought force which entered its siege mode as it landed. Targeting the triage carriers of the SW force, the capital turrets unleashed their fury on the Chimera carriers. Salvo after salvo of plasma, artillery shells and even pulse laser beams hit the SW carriers, stripping shields and penetrating armor before wrecking the fragile hull beneath. In a moment, one of the carriers was simply pulverized under the immense fire power the Snuffed Out dreadnoughts poured out. This was the moment SW forces were waiting for. A cynosural beacon was lit on the grid and an entire dreadnought wing jumped in, its ships entering their siege cycles and focusing their armaments on their Snuffed Out brethren. The two sides started slugging it out, the dreadnoughts exchanging hellish fire. On both sides, capitals were felled by mighty volleys as the two fleets concentrated their fire power. However it became very clear that Snuffed Out was once again losing the fight, exchanging 2-3 capitals for each one of its enemies. At that point Snuffed Out forces should have counter escalated, and were prepared to. Yet the Snuffed Out fleet commanders instead gave the order to clear aggression and retreat. The fleet members obeyed, burning to the gate and jumping out as soon as their aggression timers expired. At the same time, SW forces were focused mainly on clearing the remaining capitals before once again switching to the Machariels themselves. A few more were destroyed extracting, as SW forces were left to claim the field, harassed for a while by Out of Sight. long range Tengu strategic cruisers, who nibbled at their logistics wing. The reason for Snuffed Out’s retreat were reports of Pandemic Legion [-10.0]’s super capital movements, relayed by scouts. 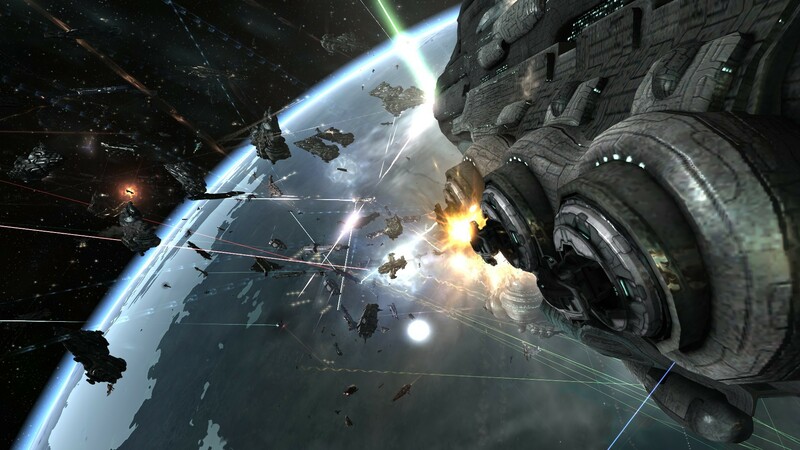 Snuffed Out fleet commanders were informed during the fight of Pandemic Legion’s supercarriers and titans logging in and even jumping to a mid point, getting in range of the Otsasai system. With no contact established beforehand, Snuffed Out commanders feared their counter escalation would prove meaningless as Pandemic Legion would intervene and destroy both capital fleets, robbing Snuffed Out of any possible victory. Thus, they chose to withdraw rather than lose an entire dreadnought fleet. Battle report for the Otsasai system can be found here. All told the main battle lasted 9 minutes, with Time Dilation not reported and the system hosting approximately 400 pilots at the height of the fighting. Snuffed Out and Project.Mayhem. lost 36 ships in the fight, including 16 dreadnoughts, 3 carriers and 16 battleships for a total of 75.08 billion ISK damage. Stain-Wagon coalition lost 27 ships in comparison, including 3 dreadnoughts, 1 carrier and 1 battleship for a total of 14.87 billion ISK damage. hey there and thank you for your information – I have definitely picked up something new from right here. I did however expertise some technical points using this website, since I experienced to reload the web site many times previous to I could get it to load properly. I had been wondering if your hosting is OK? Not that I am complaining, but sluggish loading instances times will often affect your placement in google and could damage your quality score if advertising and marketing with Adwords. Anyway I’m adding this RSS to my e-mail and can look out for much more of your respective intriguing content. Ensure that you update this again very soon.. Useful information. Lucky me I found your site by chance, and I am shocked why this accident didn’t came about in advance! I bookmarked it. I enjoy you because of all your effort on this site. My mum delights in working on investigations and it is easy to see why. All of us know all about the lively way you render practical guides on the website and recommend contribution from website visitors on this matter so our daughter is understanding a lot of things. Take pleasure in the rest of the new year. Your conducting a fantastic job. I would really enjoy to make a blog site but. I’m uncertain what type of blogs obtain the most website traffic? What kind of blog sites do you surf? I primarily surf image blogs and also fashion blogs. Just getting a survey below thanks!. Hello there, I found your web site by way of Google while looking for a related topic, your site came up, it appears good. I have bookmarked it in my google bookmarks. Whats Taking place i’m new to this, I stumbled upon this I have discovered It absolutely helpful and it has helped me out loads. I am hoping to give a contribution & help different users like its aided me. Great job. What i do not understood is in fact how you are not really much more smartly-liked than you may be now. You’re very intelligent. You recognize therefore considerably with regards to this topic, made me for my part believe it from numerous various angles. Its like women and men aren’t involved until it¡¦s something to accomplish with Lady gaga! Your individual stuffs outstanding. All the time take care of it up! I needed to compose you this very small observation to finally say thank you again considering the wonderful concepts you’ve shown above. It’s so shockingly open-handed of people like you to allow unhampered what a few individuals would have offered for sale as an e-book to end up making some bucks for themselves, and in particular considering that you might have done it in the event you desired. Those tricks likewise worked to become great way to be sure that most people have a similar desire really like my very own to know the truth way more in terms of this problem. I am sure there are numerous more fun situations ahead for many who check out your site. Valuable info. Lucky me I discovered your site by chance, and I’m stunned why this twist of fate didn’t came about in advance! I bookmarked it. A person claimed that you needed to purchase a domain name, or your blogs weren’t seen by everybody, is that true? Do you understand what a domain name is? IF not do not address please. What are some excellent websites and blogs for economical fashion for adults? What is the most convenient way to copy my WordPress blog sites to a new organizing firm?